For many of us, a safari is high up on our bucket lists. In our minds, we picture vast swathes of savannah whose gently swaying grass and fragile acacia trees form the habitat of some of the world’s most captivating species. But what if you don’t have the cash – or the time – to fly halfway around the world in pursuit of the perfect safari? Well, the good news is you don’t have to miss out. Here are four places where you can safari without leaving the U.S.
Cumberland, Ohio is the home base of The Wilds, said to be the largest conservation center in the United States. The park was once land blighted by strip mining, and the first animals to be released onto the newly-reclaimed pasture were Przewalski’s wild horses in 1992. Since then, the park has grown, with annual visitor numbers now in excess of 120,000. Partnered with Columbus Zoo since 2001, wildlife roam free across the massive site. Plain dwellers like antelopes, oryx, zebra and giraffe thrive here, and the park not only has a significant rhino population, it has a successful breeding program too. The park is also host to Wildecamp, a summer camp which offers 8 to 18 year olds the chance to ride horses and canoe as well as enjoy various animal encounters. I’ll admit, I was a little taken aback at the advice I was given the time I picked up my rental car in Bangor, Maine. “Moose eyes don’t reflect in the dark, so you most likely won’t see them on the road until you hit ‘em.” Technically, that’s not quite true, but as the eyes of a moose would generally be way higher than your headlights, you’re not going to get that bright eyed reflection you get from your cat. Second fun fact: in spring moose stray onto the roads to lick off the salt. Instead of taking your chances with these magnificent but road-hogging beasts, leave it to the pros. It’s easy to arrange a tour of the Moosehead Lake area by car or by kayak with a qualified guide. 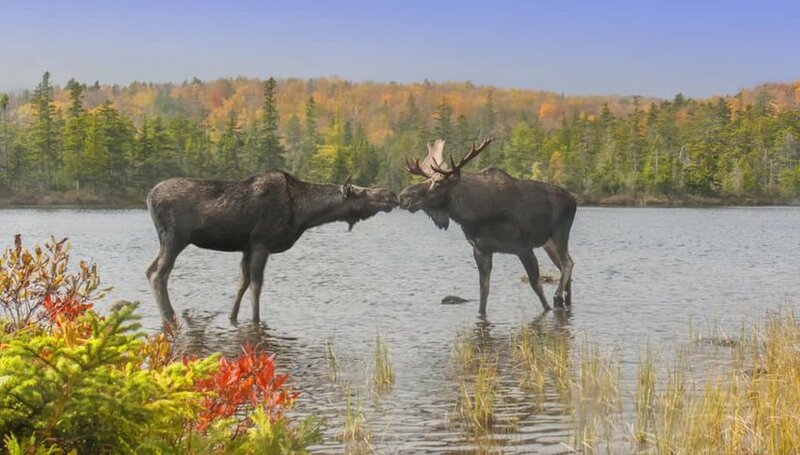 As Maine has the second-highest population of moose after Alaska, you’ll have decent odds of a sighting. As well as moose, you can expect to see beaver, deer, otter and perhaps bobcats or black bears on this safari. The kids’ pick for a U.S. safari will be Disney’s Animal Kingdom, for sure, but before you write it off, humor me while I try to bring you on board as well. The Kilimanjaro Safari attraction is a little cheesy, yes, but in a fun, Indiana Jones meets Lion King kind of way. If you want to test out whether your children have the attention span of a gnat or an elephant, you can try out this 18-minute teaser of a ride. 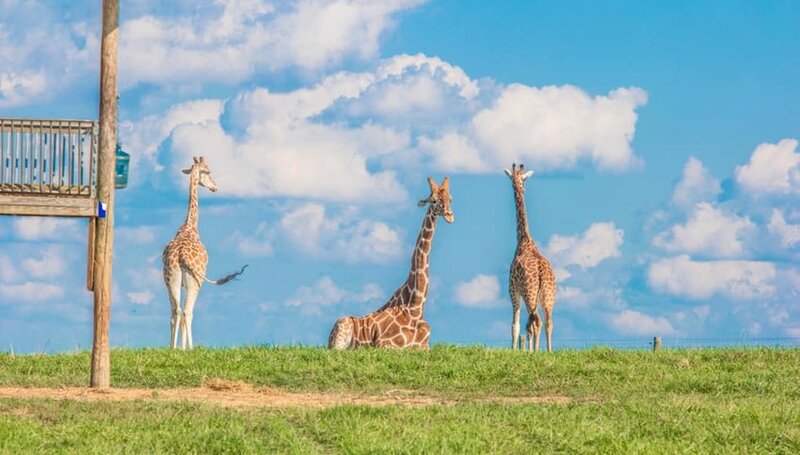 The Florida park’s Harambe Wildlife Reserve is home to 34 species and your guide will offer humorous yet educational commentary as you spot hippos, rhinos, cheetahs, crocodiles, elephants, hyenas and zebras – even a lion. Night safaris are now available, as are private “Wild Africa Trek” packages for a three hour, bespoke experience. And of course, there are all those rides to tackle if your little ones weren’t as enthusiastic as you hoped they were going to be. 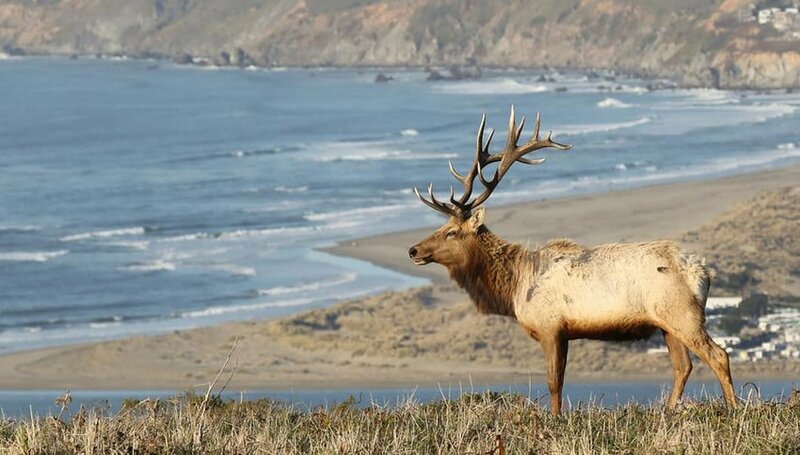 Conveniently located a short distance north of San Francisco, Point Reyes National Seashore has more to offer than sea birds and marine mammals. With 71000 acres of park to play with, the opportunities for wildlife spotting, as well as photography, are almost endless. One of the more popular sightings amongst visitors to this park are bobcats, which make themselves known throughout the day despite being known for their nocturnal habits. Tule elk, native to the park, are also a common sight, as are coyotes. Occasionally, visitors even spot notoriously elusive mountain lions. Off the coast, there’s a good chance of seeing the distinctive elephant seals, as well as harbor seals, sea lions, orcas and whales.